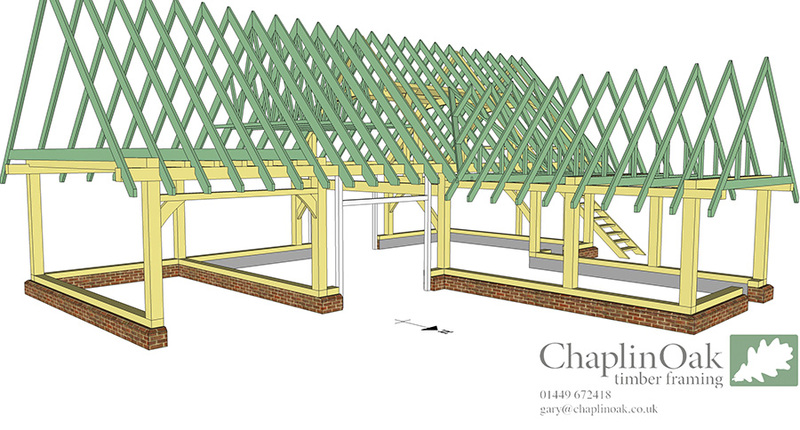 To the left on the above image is a utility space, to the right a triple workshop/garage and office space above. 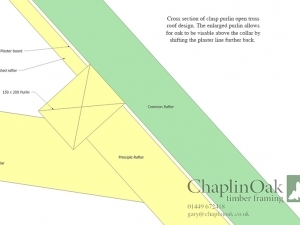 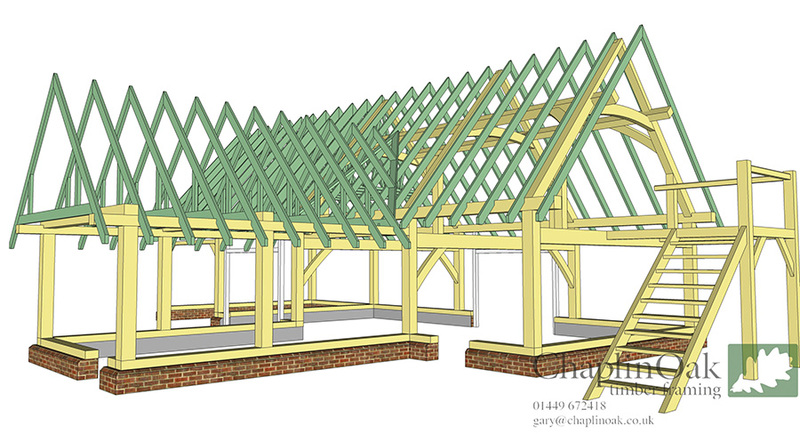 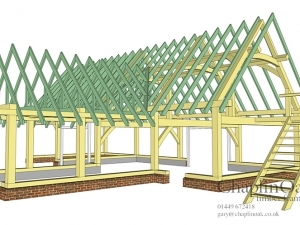 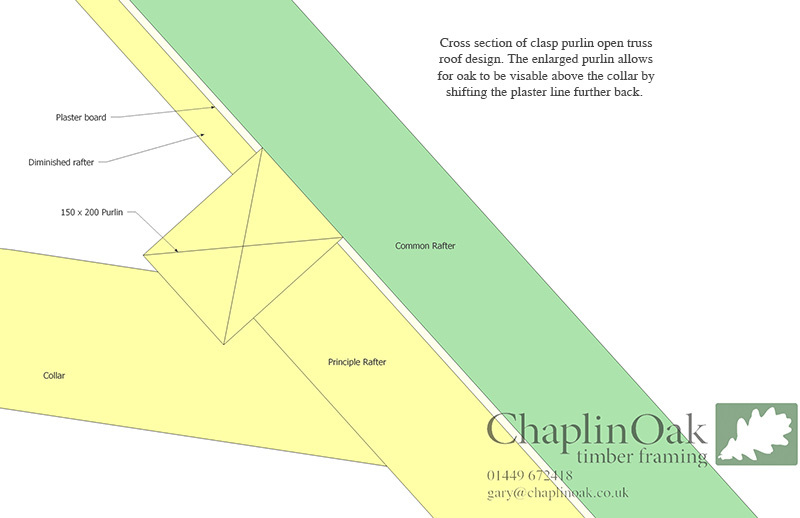 The green elements on the drawings here represent softwood rafters, whereas the beige elements represent the oak frame. 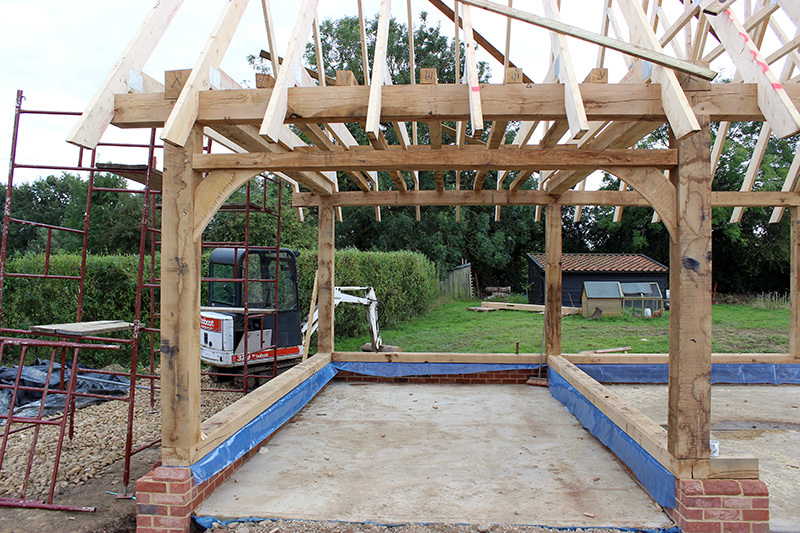 From the front; an open car port to the left with feature beams and loft space above. 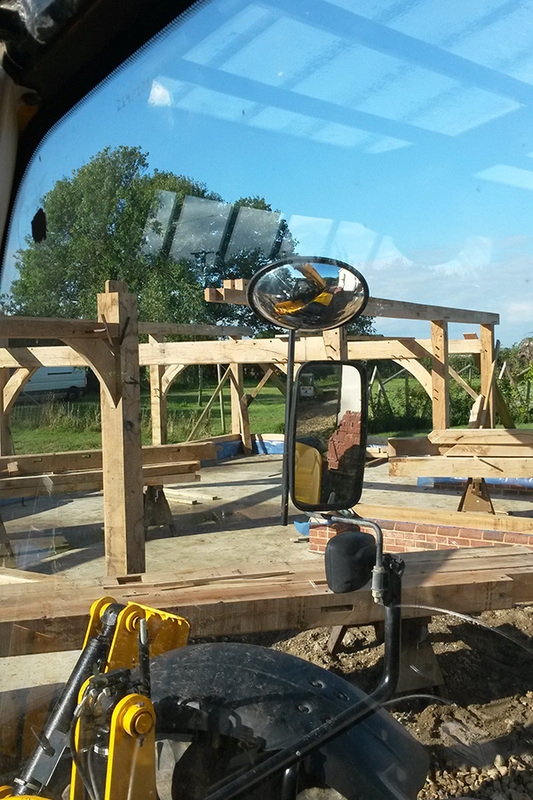 To the right, double garage doors and utility space. 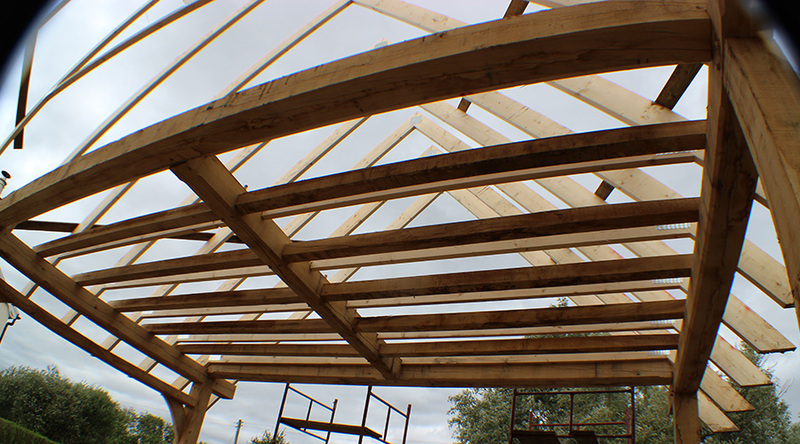 The space within the garage has a raised ceiling in order to facilitate a vehicle lift. 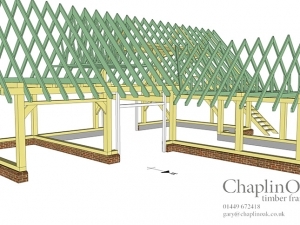 From these representative isometric drawings we produce workshop drawings that are then passed to a structural engineer for approval. 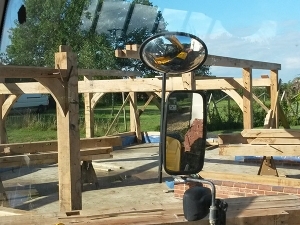 Like this: Old.Cart.Lodge.COtf.Final3 Once approved, any refinements are added to the design and we make a start in the workshop. 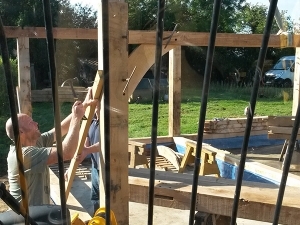 The following two images were taken during manufatcure. Above: One of the main cross-frames. 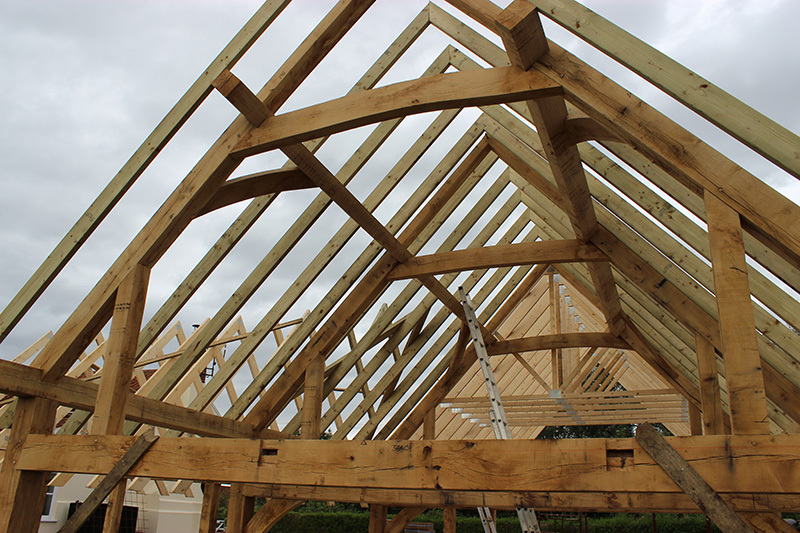 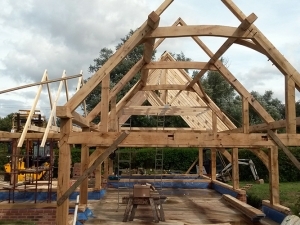 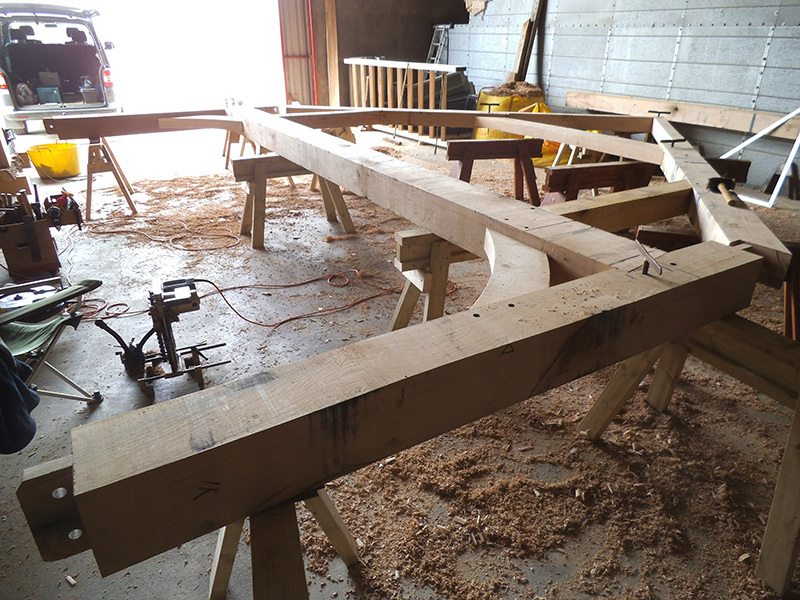 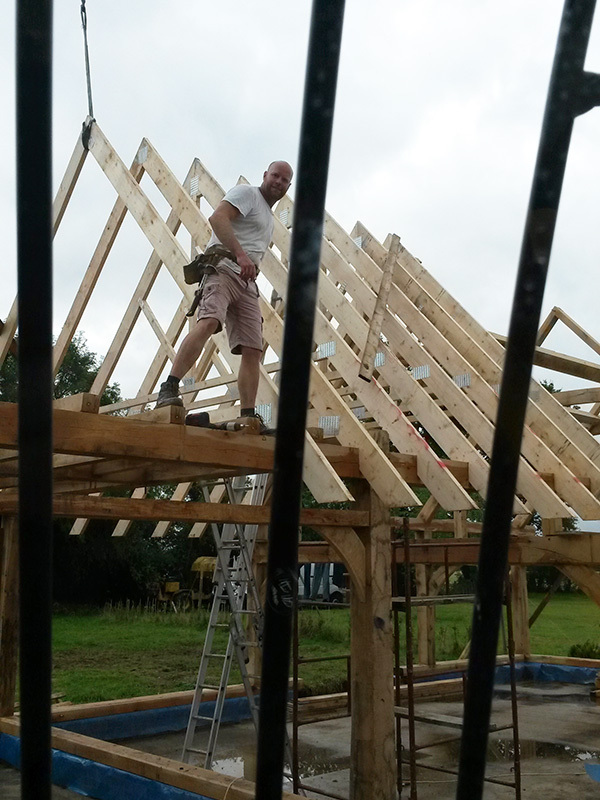 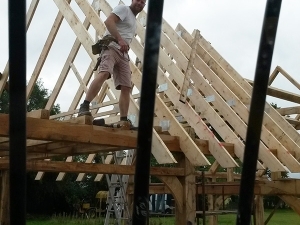 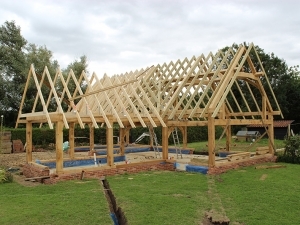 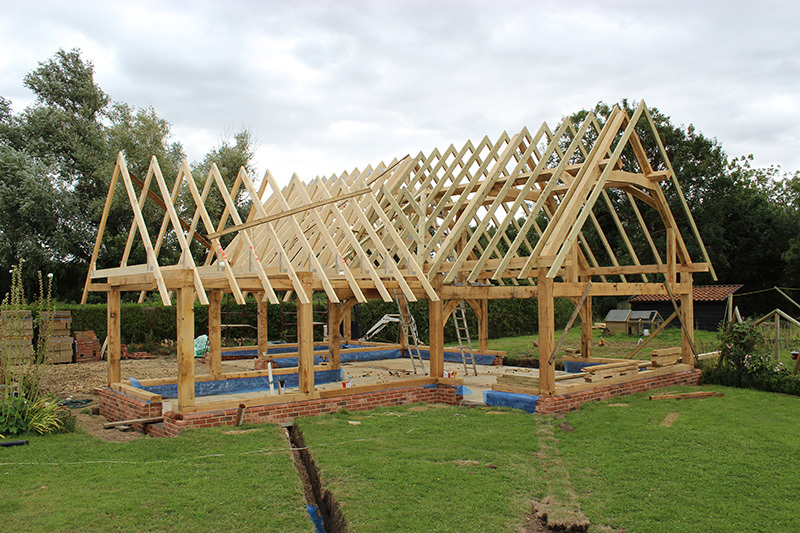 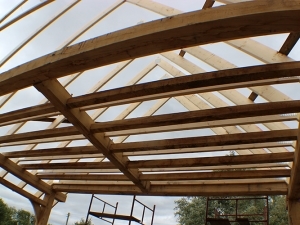 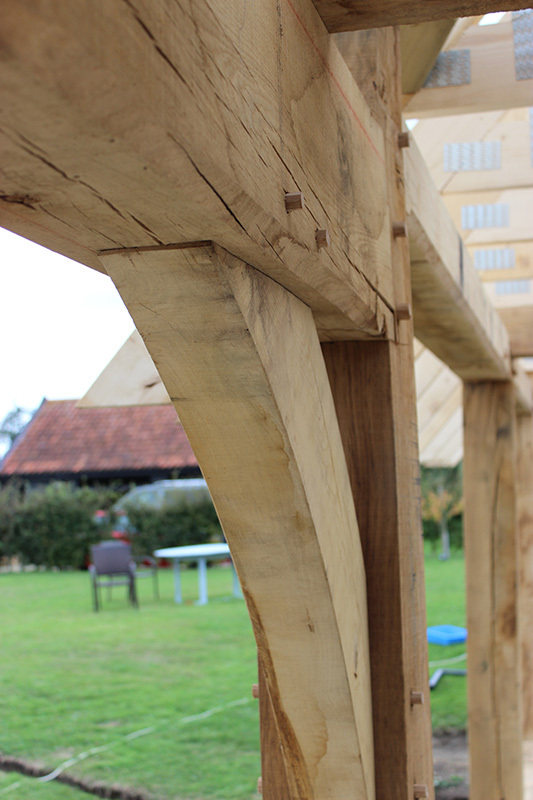 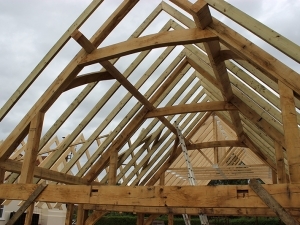 Above: Half of the clasp purlin roof frame. 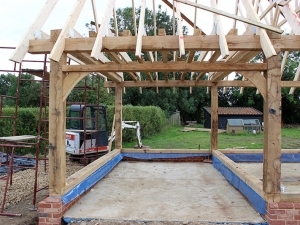 It’s quite hard to see, but the following picture is the open car port section with feature beams. 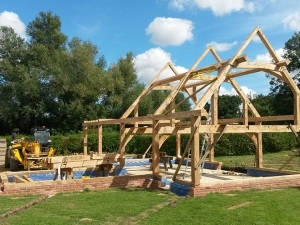 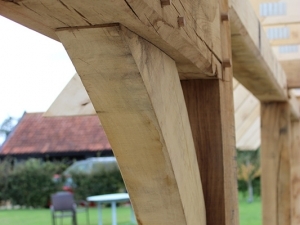 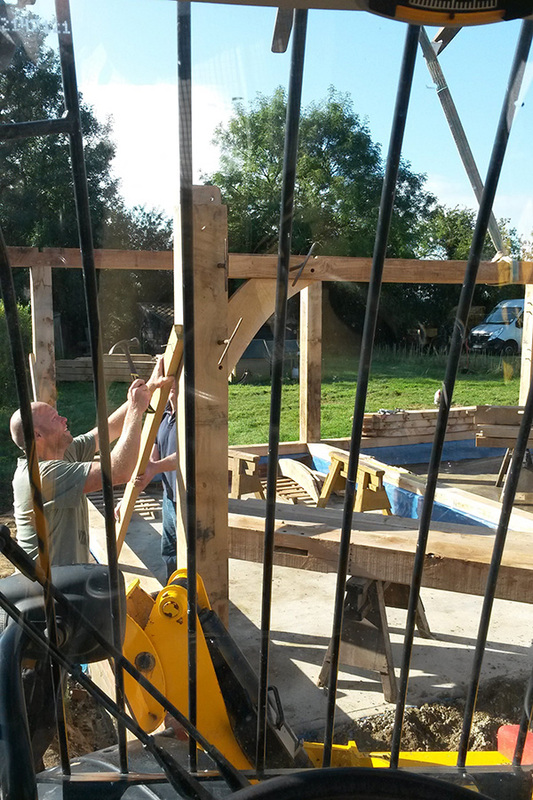 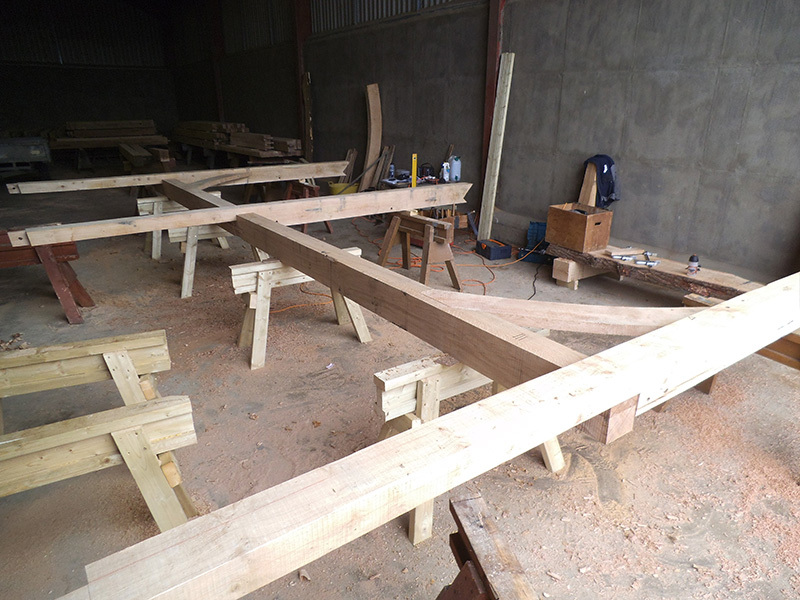 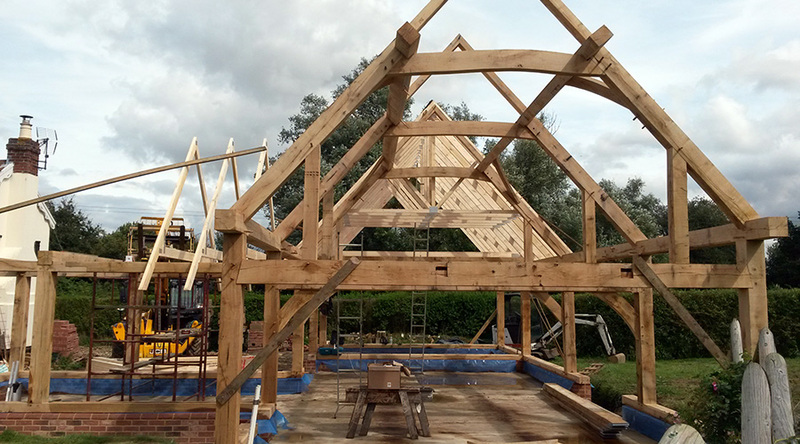 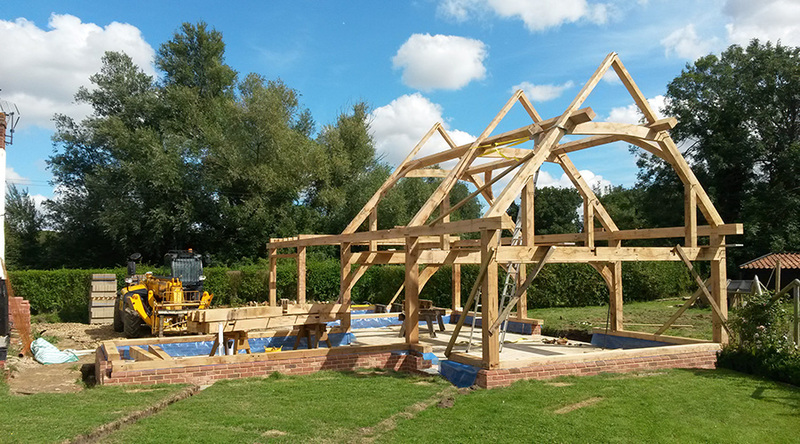 When it has been finished, just oak will be visible from beneath. Unbelievably the structural engineer thought the cross-rail timbers ought to be bigger to support the upper floor, so we introduced some heavy duty curved braces to reduce the span.